Bel Aire Miami Beach take the plunge and discover the best Miami Beach has to offer. A fabulous oceanfront location, incredible views and value. Every residence enjoys breath-taking panoramas of the ocean and bay. Interiors are just as dazzling. Ample terraces, Italian cabinetry, rich granite countertops and luxurious marble baths. Impressive welcoming lobby with the attentive services of concierge and valet parking. A variety of recreational facilities including a gym overlooking the ocean and an expansive beachfront pool. The Bel Aire captures the legendary lifestyle of Miami Beach in a vibrant MIMO location. Just north of Allison Park is Bel Aire on the Ocean, an eighteen story building featuring one and two bedroom Miami Beach condos for sale located by the beach and overlooking the Atlantic Ocean, all within the North Beach area of the city. With more than 140 feet of sun-kissed beach to explore, Bel Aire on the Ocean offers a great living experience. 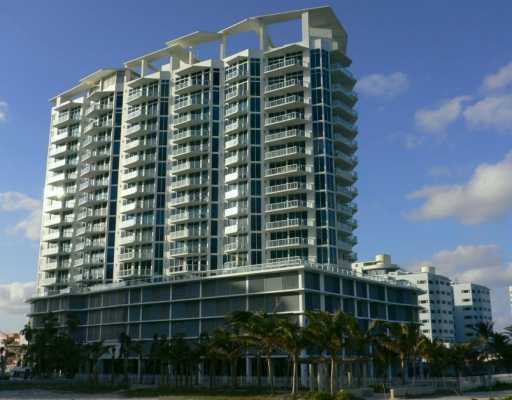 Developed by Atlantic Bel-Aire, the Bel Aire on the Ocean condo 18 story, bayfront property has 1 & 2 bedrooms for sale. The condos have water views and range from 800 - 2,300 square feet.